Doris Silver, 81, of Pensacola, went home to be with the Lord Monday, January 14, 2019, at her home. A native of Yancey County, she was a daughter of the late Fred and Irene Riddle Hyatt, and the wife of Frank Silver who passed away in 2010. She was also preceded in death by daughters: Dianne Beaver and Judy Ledford; a son: Steve Ledford; and, a sister: Nora Gean Hyatt. 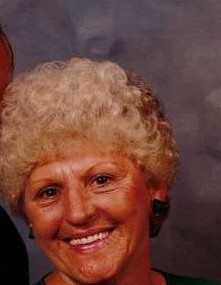 Doris was a lifelong member of Pensacola FWB Church. Surviving are her sons: Dean Ledford and wife, Paula, of Burnsville, Charles Ledford and wife, Carol, of Monticello, GA, Gary Ledford and wife, Theresa, of Burnsville, and David Ledford and wife, Tammy, of Fernandina Beach, FL; a daughter-in-law: Kathy Briggs Ledford of Burnsville; a son-in-law: Gerald Beaver and wife, Rosa, of Burnsville; a sister: Patsy Marshall of Asheville; 17 grandchildren; and, 26 great grandchildren. Funeral services will be held at 2PM Wednesday in the Chapel of Holcombe Brothers Funeral Home. Rev. Norman Lovelace will officiate. Burial will be in the Circle of Faith Cemetery at Pensacola. Memorials may be made to Hospice of Yancey County, 856 Georges Fork Road, Burnsville, NC 28714.